Growing a distribution business can be challenging, especially when you’re in an industry where it is difficult to find experienced talent. Hydraulic experts don’t grow on trees and these are complex products requiring a considered purchase. Distributors often have employees who wear many different hats, and capacity challenges are real, making it difficult to push new promotions or try out new tactics. But, there are numerous activities and strategies that can be put in place with relative ease, potentially bringing a strong return on investment. Here are five tips to grow your distribution business, plus a few extra things to consider. Due to key features integrated into the Titan MC1’s design, the power take-off proves easier to install with increased clearance and access to the mounting flange. The Titan MC1 is a medium-duty, 10-bolt clutch shift PTO designed to fit Allison 3000/4000 Series transmissions. Applicable within nearly any market utilizing a Class 6 to Class 8 truck with an automatic transmission, Titan MC1 sets itself apart from the fold with increased durability for a longer life expectancy. For high-inertia applications like fire trucks, blowers, vacuum pumps, water pumps and generators, there is no gradual engagement of the power take-off’s clutch mechanism or smooth ramp up in torque. Instead what happens is that as the power take-off is engaged to accelerate the high-inertia or heavy load from stationary to full speed, the PTO’s clutch mechanism is slammed into engagement as high levels of startup torque are generated. Have you ever read an email response and thought to yourself, since when does the Wicked Witch of the West have email? The partnerships with our customers extend beyond the sales process, the assembly cell and the garage. Often times, we collaborate in other areas such as accounting, law, engineering and matters involving information technology. In this feature article, Sr. Executive Director of People Strategy and General Counsel Damon Elmore chats with Aldos Vance, general counsel for Altec Industries, Inc. When it comes to writing, let’s face it – the struggle is real. From those times where the stars align and everything clicks to those we’d rather just not talk about, writing is a double-edged sword. It’s frustrating; it’s hard; it’s challenging; and it can make you want to pull your hair out. But it’s not all bad and doesn’t always elicit a feeling of wanting to run for the hills screaming. It’s also rewarding, fulfilling and challenging in such a way that it helps you to grow and enhance your craft. Senior Vice President IT & Administration Chris Fancher will be retiring from Muncie Power Products at the end of December, drawing to a close his long distinguished and dedicated career to our company, our people and our customers. A system protection device – the solution allowing you to focus on the application before you with the assurance that your equipment is being protected. Hydraulic Pump Cavitation – What Is It, and How Can You Prevent It? The second leading cause of hydraulic pump failure behind contamination, cavitation is a condition that can also potentially damage or compromise your hydraulic system. For this reason, understanding cavitation, its symptoms and methods of prevention are critical to the efficiency and overall health of not just your hydraulic pump but your hydraulic system as a whole. Snow and ice control systems can be complex. Choose a system with real-time, Wi-Fi support providing an extra level of support for you – making your job, setting up the system and tweaking system ettings easier than ever before. Ready to test your PTO knowledge? Check out our quick power take-off quiz, featuring 10 questions consisting of true or false and multiple choice. Test your knowledge now. A work truck’s hydraulic system includes a hydraulic pump and, depending on the application, a hydraulic motor. Common hydraulic motor applications include winch trucks, wreckers and cranes. While these components work together to perform the work, each serves a different purpose within the hydraulic system. In today’s digital age one thing is certain – social media cannot be ignored. Thanks to social media, or really the Internet in general, people across the globe are more connected now than ever before – sharing information about themselves, their experiences, products and brands on a regular basis. For this reason, it’s important for a company to establish a presence and take charge of its message. How Much Torque Do I Need Out of My PTO? One of the first questions to ask when deciding which power take-off (PTO) to use is: How much torque does my PTO need to handle? In order to best answer this question, one needs to consider not just the operating torque but also the startup torque. These two characteristics are related but can be quite different depending on the specific application. Every day we are exposed to what seems to be an endless array of content. From that found in email campaigns to articles, videos and newspapers – you name it, the amount of content we consume on a daily basis can be staggering. Like a rite of passage, we’ve all had the misfortune of discovering that a good title, visual or teaser used to draw us in is not synonymous with a good piece of content. In these instances, it’s like an unsolved mystery, leaving us to wonder where the content could have possibly gone so wrong. When talking about predictive analytics, it often rings synonymous with other terms like big data, machine learning, and artificial intelligence. While all of those terms are connected in one way or another, predictive analytics is its own entity. I define predictive analytics as the use of data, formulas, and statistical modeling to predict future trends and outcomes based off of known information. Predictive analytics can easily become a complicated and expensive venture, but my goal today is to show you how predictive analytics is not as daunting as it may seem. I am going to take you through five steps you can take to start making more intelligent business decisions with the data you already have lying around. Operators of work truck equipment with high-inertia or heavy loads stand to gain increased life for their system’s hydraulic components and decreased life wear on their transmission with Muncie Power Products’ new modulated clutch engagement system – Muncie Start. 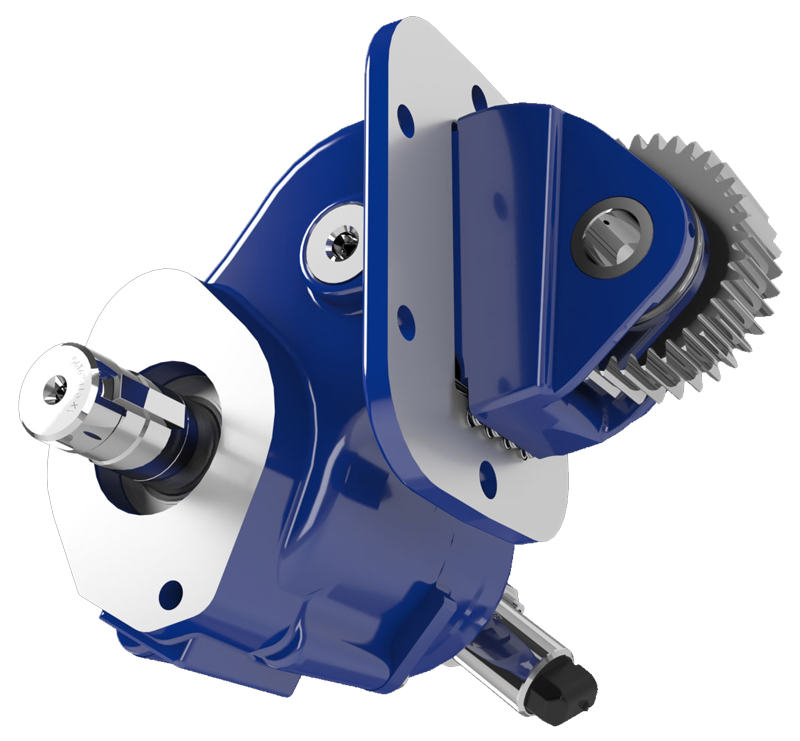 Released in the second quarter of 2018, Muncie Start reduces the startup torque for high-inertia or heavy loads – which has commonly led to wear on the truck’s power take-off, subsequently driven mechanical components and even its transmission. I’m going to bet that something like this has happened to you within the last 30 days – you’ve been talking with someone while multitasking (reading an article, checking email, watching someone out the window, etc.) when the person you’re talking to has just finished the conversation with a question. Every once in a while, we come across an experience that not only sticks with us but shapes who we are as leaders. For me, one of these experiences happened a few years ago when I was meeting with a couple members of our team after a target date had been missed on a major product initiative. Muncie Power's V050 Series is the latest in its line of open center directional control valves. The V050 Series is a small, lightweight, 13 GPM valve. It has maximum flow rate capabilities of 16 GPM and is capable of high pressures with a maximum pressure of 5,440 PSI. In the past, power take-off noise was not an issue or concern for work truck operators. Everyone used to accept that a work truck was a work truck, and work trucks were noisy. The truth – operators couldn’t hear the noise coming from the power take-off over the engine. Today, engines and transmissions developed by manufacturers are more sophisticated and quiet. In fact, a diesel engine is now as quiet as a gas engine. For this reason, when the truck is idling, the gear rattle from the PTO generated by the engine’s torsional vibrations is audible. As engines and transmissions have gotten quieter, the gear rattle has been compounded to a PTO issue. This has resulted in a call for power take-off manufacturers to find a solution for the gear rattle and a quiet PTO. The SH Series is now available for the Eaton Endurant and PACCAR Transmission. Instead of a paper gasket, the SH Series for the Eaton Endurant and PACCAR Transmission features a seal plate gasket. This seal plate gasket is able to withstand the specialty oil used by the transmission and allows the installer to mount the PTO without checking backlash. The seal plate gasket is part of a cooperative design effort between Eaton and Muncie Power Products. There are typically three types of hydraulic pump constructions found in mobile hydraulic applications. These include gear, piston and vane; however, there are also clutch pumps, dump pumps and pumps for refuse vehicles such as dry valve pumps and Muncie Power Products’ Live PakTM. What Do You Need to Know to Specify a PTO? Proper power take-off selection requires specific knowledge of the vehicle’s transmission and the driven component. With this information, selection is a relatively simple process. So, what do you need to know? Let’s be honest, with so many different work truck transmission options and application requirements, spec’ing out a power take-off can be challenging at times. However, often even more challenging is trying to cross over power take-offs from one manufacturer to another. The model numbers from manufacturer to manufacturer are very different. Of course, there is generally always a good reason for each company’s product number configuration and, once you understand it, you can work through configuring their entire product portfolio. In the work truck industry, hydraulic systems are used practically on a daily basis to complete hydraulic work; they’re the norm. But to perform hydraulic work, two conditions are required – flow and pressure. While neither condition can be eliminated, either flow or pressure can be controlled and as a result – the hydraulic work controlled as well. Muncie Power Products is devoted to providing quality products and services to build trust and to meet the needs of our customers. That same level of commitment is exhibited in the department of Learning and Development at Muncie Power Products. Our mission is to provide tools and resources for people to succeed. To do so, we utilize a variety of methods and resources to create a learning environment that is flexible, comprehensive and intentional. Muncie Start – Muncie Power Products' new power take-off option – reduces startup torque for high-inertia loads, allowing for a smooth engagement of the PTO. A company location since 1959, Muncie Power Products’ warehouse distribution center in Muncie, Indiana, is the oldest company location in existence today. Once company headquarters, the warehouse distribution center plays an integral role in the company’s distribution to help ensure customers receive the product they need, when needed. Good customer service is essentially a variation on the golden rule: Meet the same expectations you would have if you were the customer. The basic things will never change; if our customers believe that they're being remembered and are known to the company, that will have a positive impact on their disposition toward the organization. If you’ve worked in business for as long as I have, odds are you’ve encountered a micromanager somewhere along the way. By micromanager, I mean a good person who knows their stuff and means well, but when it comes to being a leader they miss the mark. Released in the first quarter of 2018, Muncie Power Products offers TG and 82 Series power take-off options compatible with the new Eaton Endurant and PACCAR Transmission with the E80 input gear. The new Eaton Endurant and PACCAR Transmission require a seal plate gasket to withstand the specialty oil (Eaton PS386) used by the transmission. For this reason, a seal plate gasket is used instead of a paper gasket for the compatible TG and 82 Series. There have been several new product releases coming from Muncie Power lately, and one of the most exciting is the Muncie Start system. Judging by the name, it is the start of something - but what? Allow me to explain. Think back to the early days of learning how to drive a car with a manual transmission. On level ground, the process of taking off from a stop was fairly straightforward – put car in gear, release brake, let off clutch, and voilà! Muncie Power Products – back then Muncie Parts Manufacturing Company – was, in the early 1970s, the first in the industry to market a wet line kit. Until Muncie Power developed the idea of an all-inclusive kit, truck equipment installers had to separately source the needed components: PTO, dump pump, reservoir, control console and hoses from multiple vendors. A telescopic hydraulic cylinder can be used in several types of applications that require a linear force to be applied over a long distance. While a rod cylinder could potentially perform the job it may be too long when fully collapsed, where as a telescopic cylinder will typically be significantly shorter when in the same position. The collapsed package size plus long stroke capability of a telescopic cylinder is one of the advantages the design offers over a rod cylinder. The FR6Q features the latest in noise abatement technology. With the FR6Q's patent-pending spring-loaded rocker mechanism, virtually all gear rattle noise is eliminated for a quiet power take-off. As a Market Specialist, I get to meet with customers on a regular basis. In these meetings, I have my list of topics to cover and the one I am most surprised about is how often our training capabilities become the wow topic of my meeting. Muncie Power Products now offers modified TG and 82 Series power take-off options compatible with the Eaton Endurant and PACCAR Transmission with the E80 input gear. Well, it's that time of year again, The Work Truck Show (WTS) is nearing! Whether you are an attendee or exhibitor, you most likely already have some plans in place for this year's show. But what should you expect this year, and how can you make the most of it? The IT world is full of fun acronyms that give a flair of mystery to technologies, trends and processes. IoT – lowercase o, thank you – stands for the Internet of Things. Quite catchy, isn’t it? Traditionally, the Internet has consisted of client computers acting as interfaces for people and server computers providing services like websites. IoT however introduces a third, connected category: things which consists of embedded computers that monitor and/or control items not traditionally seen as smart. The Snow & Ice Division of Muncie Power Products operates at the cutting edge of technology and innovation as changes in the market, demand changes in product. As a result, our snow and ice solutions range from the tried and true, manually controlled central hydraulic systems to state-of-the-art, electronically controlled cartridge valve solutions with data logging, Wi-Fi connectivity for real-time diagnostic support and GPS/ AVL mapping options. I once worked for a man that upon my first visit to his office, he opened up an old, hardback briefcase holding only four, simple items. Inside this briefcase was a pencil, notepad, calculator and a bottle of Rolaids. He is approachable, willing to help others, highly achieved and enthusiastic about building relationships. In fact, it’s these qualities that led Damon Elmore to the people side of business and piqued the interest of Muncie Power Products. Muncie Power Products recently received the Wellness Council of Indiana’s Five Star level of AchieveWELL certification at the 2017 Indiana Health and Wellness Summit in Indianapolis. The company is among four others in Delaware County, an Indiana Healthy Community, to have received this recognition. When winter strikes, having snow and ice removal equipment with ground-speed control that functions efficiently and effectively is critical to conserving resources and keeping roadways safe. Get a quick snapshot of Muncie Power Products' line of piston pumps, featuring both fixed and variable displacement options. One of the quotes you’ll hear most often from CEOs is that “Our people are our greatest asset.” But I wonder how many have gone through the exercise of quantifying what a statement like this means or how to measure it. With complete justification for this statement then surely each would prioritize people matters first within their staff meetings and at budget time. Muncie Power Products’ Optimum Series is an innovative line of gear pumps/motors designed to provide users with long product life. Its patented technology and bushing-style design allow for this longer life expectancy, as these features result in increased durability to better withstand normal wear. Muncie Power Products, Inc. is pleased to introduce its new senior executive director of people strategy and general counsel, Damon Elmore. Muncie Power Products, Inc.’s line of wet line kits comes in a variety of reservoir sizes and configurations to meet system needs. Muncie Power Products, Inc.’s central hydraulic systems can be customized to exact specifications to meet the needs of individual snow and ice applications. Powering a hydraulic pump to a power take-off is a common practice. In mobile applications this typically consists of a gear, piston or vane pump, which is then direct mounted to the PTO or remote mounted using a driveline. In markets like refuse or snow and ice, where applications can be complex and require multiple functions at one time, it can be difficult to balance system complexity with efficiency. With the release of Muncie Power Products' new L125 sectional, load-sense valve in the second quarter however, the company now offers its own option so that efficiency nor complexity need be sacrificed. Experts often say that 55 percent of communication is body language, 38 percent is tone of voice and 7 percent is the words you use to communicate. This in itself tells most of us that we are not always cognizant of how real communication takes place. Work instructions at Muncie Power Products were once simply text. But today, new work instructions are being created with visuals. Thanks in large part to Industrial Engineer Melissa Rucker, these visual work instructions have made power take-off assemblies more efficient. Enacting new processes or updating old ones to become a more efficient organization, business or department is not always easy. It takes a conscious effort on behalf of all of those involved to make the necessary changes to become more efficient. Muncie Power Products, Inc. has expanded its valve line with a new post-compensated, sectional, load-sense valve – the L125. Muncie Power Products, Inc. is pleased to introduce Zone Sales Manager Brian Burt, the company’s new sales team member for the Northeast. It is with great sadness that we announce today the passing of our friend and former colleague, Joe Wilson, who served as chairman and CEO of Muncie Power Products from 1997 until his retirement in 2005. Muncie Power Products, Inc.'s gear adapters can be used for several purposes including most commonly, to change the direction of rotation of the power take-off output shaft. Customer service plays an instrumental role in the customer experience, and at Muncie Power Products this is no different. Engrained in the company culture and its in-house team, customer service remains a top priority. A few friends of mine asked me what I meant in an article published in issue three of 2016 referencing millennials. Was I talking about a concern in regards to the clothing, work ethic or overall ideology of this new generation entering the workforce? The answer to each was no. At Muncie Power Products, we are not any more concerned with this generation than those prior; we are excited for them to join us. For Muncie Power Products’ new zone sales team director, Mike Rasnick, sales is not only a passion but something that has come naturally to him since he was a kid. Avid in drag racing from the time he was a teenager, Rasnick had to barter, negotiate, buy and sell parts to reach his goal – to get his race car to go faster. Muncie Power Products, Inc. is pleased to introduce its new RS6S-P89M Series power take-off. Muncie Power Products, Inc. has expanded its line of low speed high torque motors with its latest addition – the MH Series. Muncie Power Products, Inc. is pleased to introduce its new director – zone sales team, Mike Rasnick. As work trucks are becoming more civilized, the performance demands are ever increasing with more and more challenges for designers. Today when it comes to finding solutions for the marketplace, a previous investment in the future can make all the difference. Strategy. It is the key to winning wars, competing in sports, obtaining business goals and much more. When we think about it, strategy plays a role in many aspects of our lives. At the heart of every great strategy however lies the same focus – priorities – whether that is for a country, company, team or individual. Dubbed the “Trade Show King,” International Sales Director Kurt Polsley is no newbie to networking. In fact, it’s been said that when you walk a trade show with Polsley you cannot go but a few feet without hearing his name called or running into someone he knows. Creating an extensive network like Polsley’s hasn’t been without hard work, dedication and a desire to learn. As many companies – Muncie Power Products included – rely on making new contacts and establishing customer relationships, networking is a must in today’s business world. Muncie Power Products, Inc.’s V080 Hybrid system features a unique circuit design optimizing snow and ice operations with full flow while ensuring cylinder and spreader operations can work when required. There's a snowstorm and your truck's hydraulic system is down. The problem is beyond your mechanic's capabilities. Getting on-site technicians could take days. Watch our video to learn how the Advantage+ snow and ice control system breaks down distance barriers. I once had a customer pull me aside and tell me that one of my key employees simply did not fit our brand. He went on to tell me very specifically the elements of their actions and behaviors that created a crack in the solid foundation of our brand promise. This crucial conversation was a shot across the bow of my management philosophy and forced me to take a hard look at key managers in our company from a perspective of brand alignment instead of checking boxes related to personal performance. Starting her career with the company at the age of 19-years-old, Warehouse Coordinator – Crew Leader Mandi Gurley has grown up at Muncie Power Products – learning about the company, life's lessons and herself along the way. In today’s marketplace with numerous companies fighting for consumer attention, neglecting to have a formalized quality system in place to maintain quality is not an option. Growing up in Los Angeles County, residents like myself were subject to many changes in the refuse market. Front loaders – mainly used for residential collection over the last few decades – are just one example, as today front loaders have been replaced for residential collection by more advanced trucks. These once common front loaders had a huge can on the front of the truck, which trash collectors would manually dump the trash into from the cans at your home. This trash would then be dumped from the truck’s can into the hopper. Muncie Power Products, Inc.’s line of split shaft power take-offs provides higher horsepower and higher torque capabilities than transmission mounted power take-offs for running auxiliary components. También, haga clic aquí para leer en español. Muncie Power Products is very pleased to announce that our popular online power take-off and mobile hydraulic system training program, M-Power Tech, is now available in Spanish. Muncie Power Products, Inc. offers pre-wet packages for all truck sizes. The pre-wet packages are available in hydraulic and electronic drives. Finding the appropriate product to meet your application needs can be challenging, but with Muncie Power Products, innovative, application tool – M-Power Specification Software – it no longer has to be. Originally created in 1992 as a resource to spread Muncie Power product knowledge to help customers, M-Power has grown and evolved from floppy discs to an online, interactive tool assisting customers looking to configure products for their application. Check out the full-spread infographic illustrating the ins and outs of Muncie Power Products' online application tool - M-Power Specification Software. When the sales team at Muncie Power Products identified a customer need within the snow and ice market for a hydraulic system that would allow for the operation of simultaneous functions that required less plumbing, simple set up and easy operation, the Technology Solutions Group got to work. As a result, the V080 Hybrid system was born. Company ownership within the truck equipment industry in North America has faced a gradual shift over the last few years as European companies have acquired those in North America. As a result of changing ownership, European hydraulic components have been brought into the North American truck equipment market and introduced as that company’s standard product. Of these products, one has been transmissions with only a rear mount power take-off option. As HR manager at Muncie Power Products’ manufacturing and distribution center in Tulsa, Dianna Davis has played a major role in the company’s retention and engagement efforts. In 1999 Muncie Power Products joined the Interpump Group, a multinational operation based in Reggio Emelia, Italy. For Muncie Power Products the decision to join the Interpump Group has led to the creation of multiple, mutually beneficial relationships with our fellow sister companies under the Interpump Group brand. These collaborative relationships among Muncie Power Products and our more than dozens of sister companies, have only matured over the course of these last 16 years. Today, we together make up a diverse product portfolio, offering all major components of a hydraulic system and high-pressure water jetting systems. Scott Huntsman is the new senior executive director of sales at Muncie Power Products. With more than 20 years of experience within the industry, Huntsman brings a vast skillset and natural ability to the role. It may be surprising then to know that growing up and even into his early twenties, Huntsman didn’t initially see himself with a career in sales. “When I was growing up I always enjoyed working with my hands and thought about becoming something like an electrician or mechanic,” he said. “I was the kid who liked to take the lawn mower apart and put it back together." Muncie Power Products, Inc. introduces the EX Drive, its latest power take-off shaft extension, designed to fit popular Allison 3000 and 4000 Series transmissions with or without a retarder or cooler. Muncie Power Products, Inc., in collaboration with Ford Motor Company, is pleased to introduce its new power take-off for F-650 and F-750 trucks, the FR3C. Meet the CEO's Right-Hand "Man"
As executive administrative assistant to Muncie Power Products’ Chairman, CEO & President Ray Chambers, Liz Ludwick is a veteran of the corporate and nonprofit worlds, helping to foster the company’s family environment as it continues to grow. Soon after being hired as an assistant product manager, Brandon Roberts was given the task of developing a motor line to extend the company’s equipment portfolio. Development of the new low speed high torque motors fit into the company’s product planning growth strategy, which involves expanding the product line to make Muncie a more complete resource for its loyal customer base. As Muncie Power Products continues to expand into international markets, International Customer Service Manager Sandra Thompson is happy to be the voice of the company for many of its Spanish-speaking customers. A dump pump as used on a typical dump truck in N.A., is a combination of a hydraulic pump, a pressure relief valve and a directional control valve in one housing. The pump also has a pressure port that connects to the hydraulic cylinder and a larger port connected to the hydraulic reservoir. This is the most common method of connecting the dump pump to the rest of the system, and is called a two line system. Muncie Power Products, Inc. is pleased to announce the release of its new line of low speed high torque motors. Addressing big-picture topics is part and parcel of running a global company. Taking the view from 30,000 feet is supposed to give you the perspective you need for guiding your team through the workplace labyrinth, right? Absolutely. Equally taxing is finding the time to get the work done - that you’ve identified from that vantage point. As Muncie Power Products continues to grow, Sheila Spisak, director of people development, is ensuring that the company’s workforce has the skills and temperament needed to bring the corporation to the next level. Muncie Power Products, Inc.’s MESP 3016 Electronic Spreader Packages save salt and money. Designed for easy set up, installation and operation, the MESP 3016 features automated ground speed controls. With this automation salt is distributed proportionately to the truck’s ground speed, reducing waste and cutting cost. Muncie Power Products, Inc. innovative line of Optimum gear pumps now feature an option available for live-floor applications in the refuse industry. Designed and built for reliable, quality performance, the DC power pack can be used for numerous applications including lift gates, single-acting cylinders and dump bodies. Q. How has the company managed to grow during tough economic times in the United States? A. We base our decisions not only for the benefit of the present, but on what will be best for our company three to five years from now. In the last major economic downturn, we saw a lot of companies make drastic cuts that may have helped in the short term but hurt them in the long term. Making decisions that are beneficial in the long term is key to sustaining growth and stability. Michelle McKnight is finding her “happily ever after” story in hydraulics. Muncie Power Products, Inc. elevates cylinder efficiency with its single-acting telescopic cylinders. Built with precision engineering and specialized machining to exacting standards, each of Muncie Power’s single-acting telescopic cylinders are constructed from a solid, steel piece. With extended stage overlap to minimize bending and reduce hydraulic fluid usage, these cylinders ensure maximum seal performance and reliability. Muncie Power Products, Inc. showcases its most recent, innovative line of high performance gear pumps/motors, the Optimum® Series. A recent design change in Muncie Power Products’ PTO shaft extensions and associated 10-bolt PTOs utilizes the latest technology to strengthen one of the company’s top performers. Since he first stepped though the doors at Muncie Power Products seven years ago, Gillum has been a strong contributor to both the company’s customers and his fellow employees. Muncie Power Products, Inc. is pleased to introduce the latest addition to its line of directional control valves, the V250. Is Your Sales Team Organized for 2015? In a year where our industry has continued to stretch it legs towards an ever quicker pace we can take away several key lessons as we plan for an even better 2015. The most important of those lessons is that we all continue to do more work while requiring fewer resources and at a greater speed. Success in an environment where efficiency and added value have become paramount is waiting for those who adapt their strategies to focus on one often overlooked element, time. Jeffery Jackson is a man of a thousand questions. “I’ve learned to ask the proper questions until I get the information I need to help our customers,” said Jackson, who is part of the Muncie Power Products customer service team based in Muncie. Through years of training and continuing education, Jackson is confident in his knowledge of the hydraulics industry.